Are the Continentals taking over? Over perhaps the past 6 or 7 years longer and softer continental rods started becoming more popular. They were orginally brought in by top match anglers wanting better bite registration without loosing the strength in a rod to cast leads upto 6oz. From here they have blossomed into a vast array of rods from accross europe and quite a few from our UK manufacturers. The big question. Are they better than a traditional 12 or 13ft rod? This all depends on 3 factors. 1 how much you want to spend, 2 what sort of ground and tide run your fishing and 3 your casting style. 1. Price. 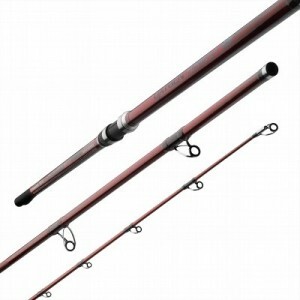 In my honest opinion if your looking for a new rod and have less than £70 I would give up on the idea of the longer rod. They lack feel, a bit like a piece of rhubarb and more importantly you will miss bites all the time. I would advise, at this budget to buy a 12 or 13ft rod. As you look at more and more expensive ‘continental‘ rods they obviously get better becoming lighter, more sensitive and more responsive and are really worth a long thought in picking your new rod as long as points 2 & 3 work out. 2. Fishing venues. This one is simple. If you fish rough or kelpy areas buy something else, you mite be able to cast a long way with a ‘continental‘ style rod but getting your gear back over this terrain is another matter. On the other hand if your fishing clean, shingle or even sandy beaches with features such as mussel beads and small rocky outcrops you will be fine. The longer rods even hold up rather well in strong tides as long as you use the correct rigs and weights. 3. Casting style. Another simple one to clear up. If you want to pendulum cast, look for another type of rod. Quite simply these rods aren’t designed to handle being compressed by a pendulum cast. There are one or two ‘longer rods’ on the market which you can pendulum but they are have a different action to the ‘continental’ rods. If you are interested in something like this please ask and I can direct you to the correct rods. The rods are designed to be used with a simple over the head cast but will cope with a ‘groundcast’ or other similar styles. So if you have all 3 points ticked its well worth considering a continental style rod. My catch rate did go down but I did enjoy using the tackle more which I think is very important to any fisherman. I knew after about 3 months of using the TTSMLD‘s my expensive tackle journey wasn’t over. I wanted the distance I got with the ‘continental’ rod but the sensitivity I got with the Century. I set upon trolling the internet and tackle manufacturers to find an answer. I will say now. I am in a unique situation where I can try before I buy and get a real good look at the whole market. Saying that, all the ground work is done for you guys when you fancy a new rod. All you need to do is ask. After a little bit of time I was pushed down the route of the Italian beach rods from makes such as Vercelli, Tubertini & Alcedo. After deliberating for some time (and some last minute haggling) I plummed for a Vercelli Ultima Spyra. This rod has given me everyting I wanted. Its light to hold, Its bite registration is the best I have seen and the rod is responsive through the cast making it a joy to use. After a little bit of testing I decided to order some select rods in from some Italian manufacturers and see how they went. i can honestly say everyone who has given me feed back is over the moon with their new rods. So as an answer to the question, I believe they are. They allow the average guy fishing on a beach to cast 120 Yards + with only an overhead cast and still see all the bites. We currently have a the full range of Vercelli rods to look at this week. There is 10 in total and range in price from £180-£530 so if your interested please call me on 01524 422146 or pop into the shop. Alternatively you can view our current range of Continental rods buy clicking here. Great read Chris, as you know I’ve been a 13′ Century TT / multi user for a long time and have finally gone down the Continental root. Have only been out once for fishing but it is everything you say – and thats from the £200 stable of rods. In fact i was so impressed I’ve got another (Tubertini Boomerang) plus 2 X Ultegra 10000’s – I couldn’t help myself. Just like to add, going into Gerrys and speaking to the guys there is a pleasure, it’s a shop run by anglers for anglers and the knowledge and advice from the guys is second to none. If you’re thinking of buying a new rod go and have a chat, you won’t regret it. 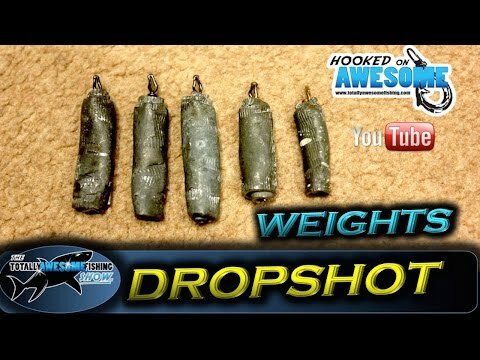 A great read m8 very informative and an honest account as im getting older putting allot in to a cast gets harder and im an over the head lobber i fancy a 16footer with a fixed spool but at the moment cant justify spending 500£ on a rod and another 100£ on a reel maybe if and when i sell my boat.